Like Folsom Street Fair, the Hunky Jesus and WTF Mary contest marks the SF spiritual calendar of fantasy, spectacle and the sublime. This was the 36th annual contest and my first HJ in many years since I’ve been living in Tokyo. I like how each Jesus created their own storyline, often independent of the Christian chronology. A 9 month pregnant woman won WTF Mary. “Good timing on her part,” as my friend said. Baby Jesus, “I’m just a baby,” won the HJ category. His is probably the sexiest adult diaper I have ever seen, and he won a lot of attention by pouring milk from his baby bottle across his hairy chest. Thanks, Sister Roma, and all the good nuns for an outstanding event that brought together freaks, families, and pure joy. 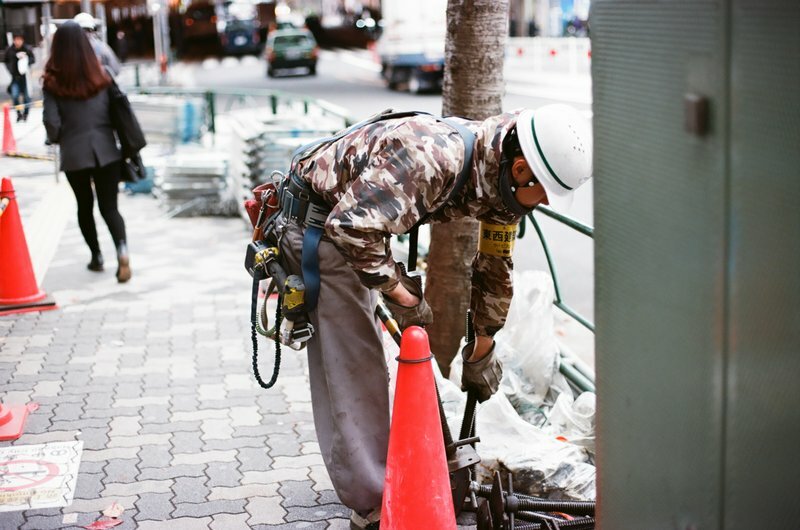 Some of the sexiest and best dressed men in Japan are the construction workers. Seen in Nakano. Unbelievable sadness. The sexiest woman of the 20th century?! (From Cat on a Hot Tin Roof. Paul Newman’s character must have been ultra-gay to be unswayed by all those sultry under garments).